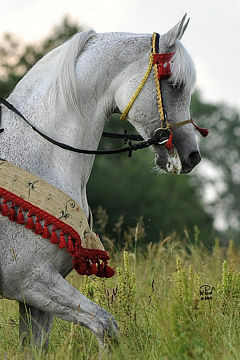 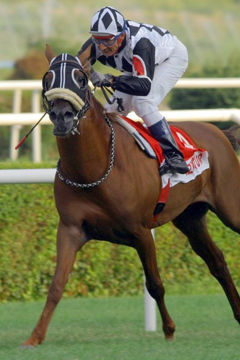 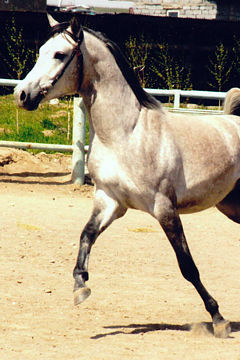 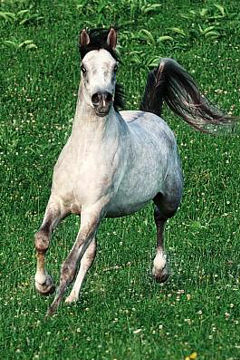 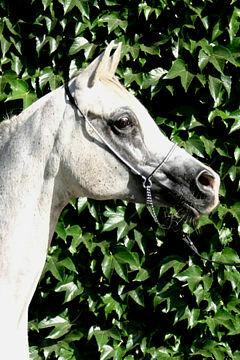 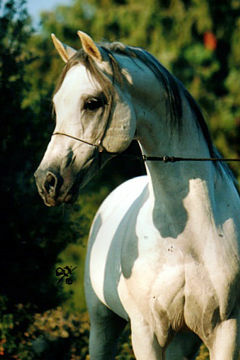 SALMAN AL MOHAMADIA, Grey Colt, *2008 (GR Amaretto/Thee Scheherezade). 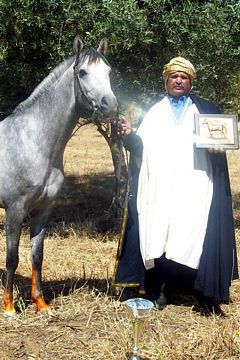 Breeder and owner: HRH Prince Abdullah bin Fahad bin Abdullah bin Mohammed bin Abdul Rahman Al Saud, Al-Mohamadia Arabian Horse Stud. 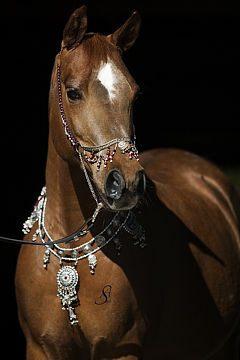 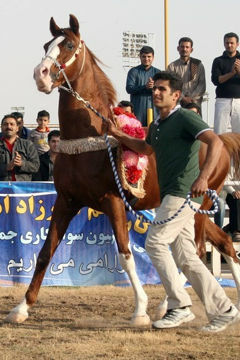 In early 2010 the King Abdul Aziz Arabian Horse Centre announced that they have proudly awarded their 2008 WAHO Trophy to the colt Salman Al Mohamadia. 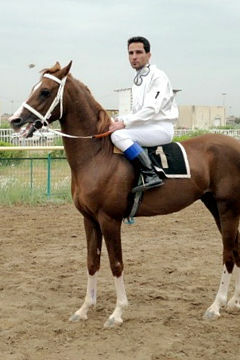 Of ‘straight egyptian’ bloodlines, Salman Al Mohamadia achieved many showring successes in the year 2009. 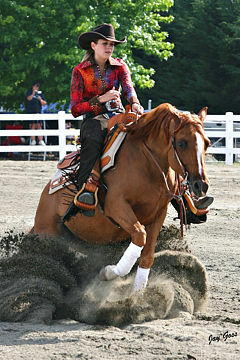 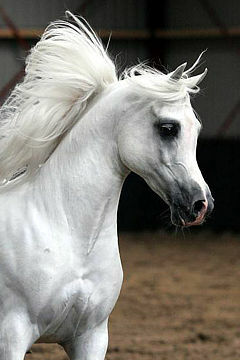 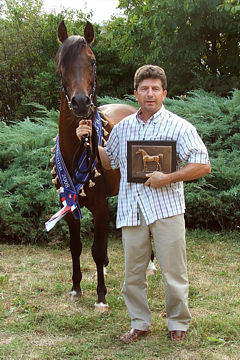 He was first named Champion Colt and Supreme Champion at the Frankfurt Arabica Egyptian Event in May. 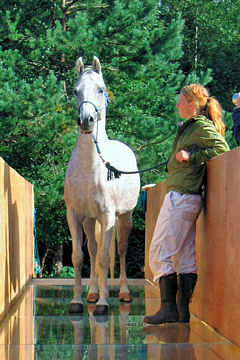 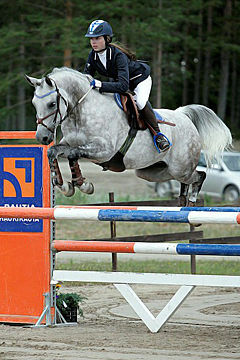 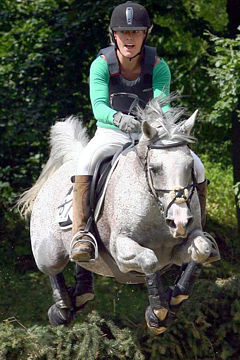 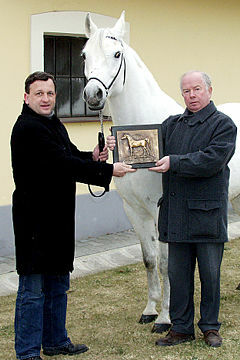 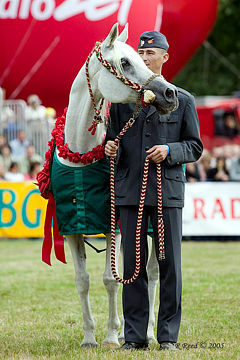 In July he traveled to the Ströhen International B Show where he was the Silver Medal Champion. 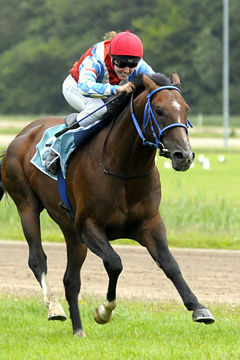 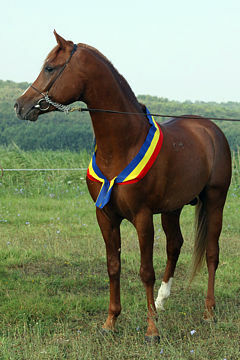 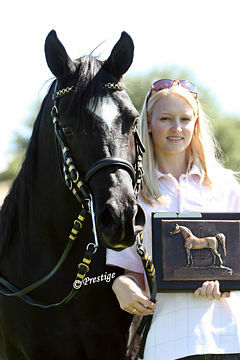 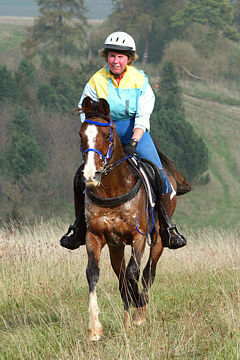 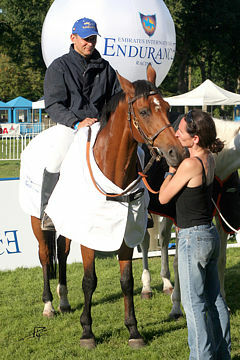 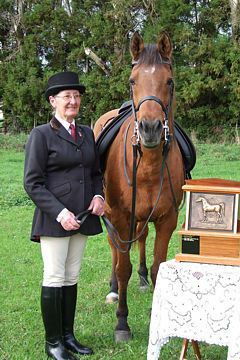 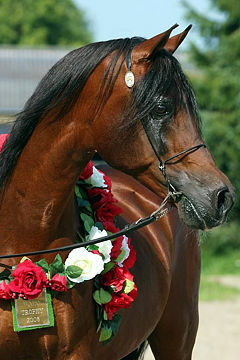 In August he was named the Champion Colt at the Egyptian Event Europe in Lanaken, Belgium. 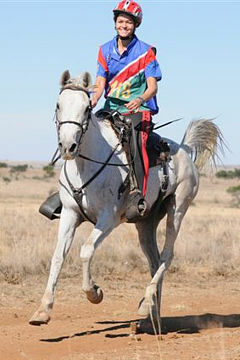 He also took the Bronze Medal in the Junior Male category at the Middle East Championships in Jordan. 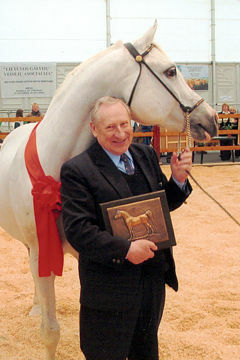 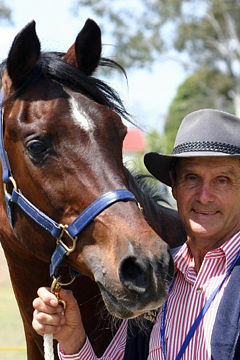 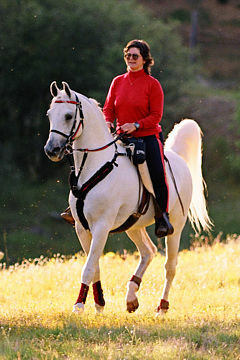 He has been therefore been an excellent ambassador for Arabian horses bred in the Kingdom of Saudi Arabia and, despite his youth, is considered a worthy winner of this award.